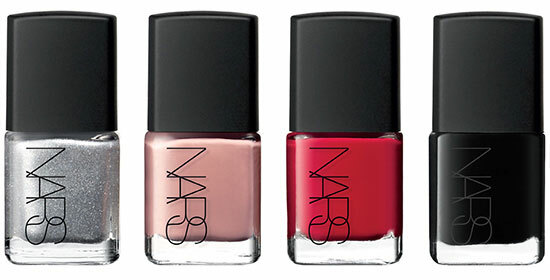 The beauty world has been abuzz for months now with rumors of the launch of NARS Cosmetics’s Andy Warhol Collection. Teaser images, projected launch dates (October 1??? ), and seriously rough product guesstimates have kept us beauty nerds at the edge of our seats. I almost thought someone photoshopped the amazing products just to mess with us. But now, if you head over to NARS’s Andy Warhol page, you can watch a bit of one of Andy Warhol’s classic New York videos. The teasing continues! Sign up for an email update to let you know when the products become available: something tells me that once this collection goes live, it won’t last more than 15 minutes. All the colors of the rainbow plus edgy and shimmery neutrals? I can’t help but gush. Something about the lineup of these shades just screams New Year’s Eve party. A compact this awesome PLUS Andy’s signature on the pack? If you weren’t already dying over the collection, (although, how could you not. Did you SEE that first image?) I’m sure you are by now. Most of these pieces are must-haves that you’ll never actually use- for fear of messing up the fantastic prints. Hey, guys: they’re works of art, remember? My recommendation? Ladies, save up your pennies and invest in a piece or two from this collection. Justify the “I’m never going to use it!” dilemma with the comfort that these pieces, while still at steep NARS prices, are a heck of a lot cheaper than an Andy original screenprint.